More than a month after BP and the Coast Guard finished a subsea operation to inspect the Deepwater Horizon site for oil leaks, no source has been found. Also, BP and the Coast Guard have not publicly identified a mystery white, milky substance observed seeping from the wreckage. But they say it's not oil and it's not harmful. Recurring oil sheens have been spotted in recent months around the Deepwater Horizon site. Several missions to inspect the sunken Deepwater Horizon platform, riser pipe, wellhead, relief wells and containment domes found no oil leaks. However, the Coast Guard reported seeing "an unidentified substance inconsistent with oil" emitting from several areas of the wreckage. Samples were collected for analysis and the Coast Guard this week said the lab "detected no traces of harmful pollutants," and that a BP test "yielded similar results." Neither BP nor the Coast Guard responded to the question of what the unidentified substance may be. With no source of leaking oil identified, the Coast Guard told CBS News: "satellite surveillance continue to monitor the sheen while future steps are being considered." 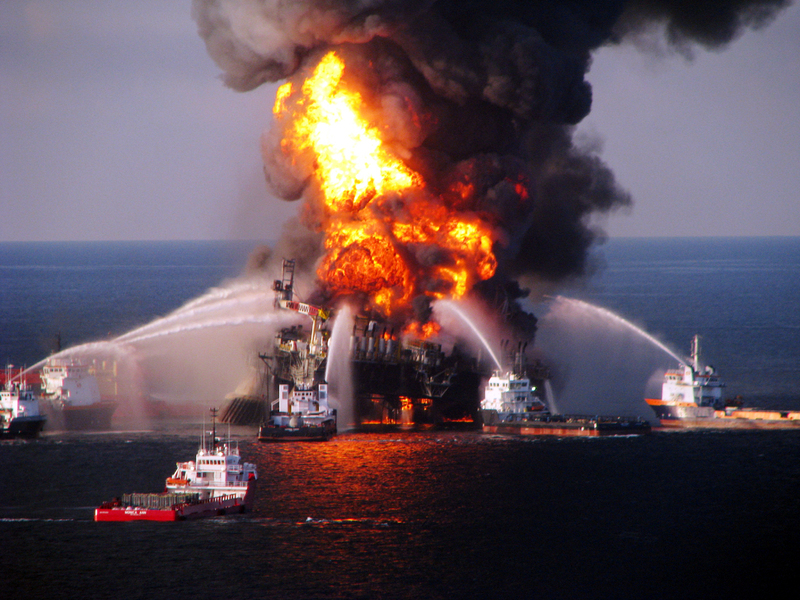 The Coast Guard said the main components of the Deepwater Horizon wreckage, including BP's main Macondo well and two relief wells, were found to be secure. BP told CBS News it is still working with the Coast Guard to investigate possible sources of one oil sheen in the area: "BP has also capped and plugged an abandoned piece of subsea equipment known as a cofferdam that was identified as a potential source of the sheen." BP says the Coast Guard has indicated that "the sheen is not feasible to recover and does not pose a risk to the shoreline." Video of the December subsea inspections, including footage showing the leaking substance, are posted at the government Web site.